Restoring Smiles an Arch at a Time! It’s a common misconception that people have, but switching to dental implants from traditional dentures doesn’t require a full mouth of implants. In fact, replacing teeth in this way is the most ideal solution for those with significant tooth loss, especially older individuals where multiple missing teeth is very common. However, just because you’re missing teeth doesn’t mean there aren’t ways to make you feel young again! To get started on your journey to a better smile and eat all the foods you enjoy without worry, schedule a consultation with our practice by contacting us today! An implant-retained denture is much like a traditional denture except it’s specially customized to work with dental implants. By examining your oral health and your current denture, our team can determine exactly how many implants are needed to make your new smile secure and reliable. 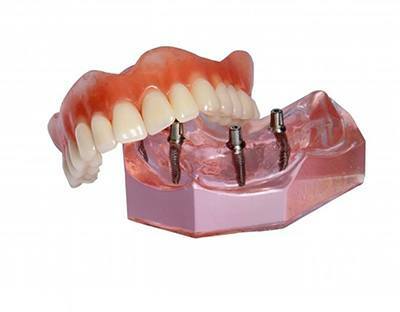 We can also determine if you need a new denture fabricated to work with implants. As a bonus, implant-retained dentures can be designed to be removable (overdenture) or fixed, depending on your needs. Most dentures that use implants are made for the lower jaw due to increased instability, but they can be made for both arches if requested as well. Not only do you no longer need denture adhesive or relining appointments just to keep your denture fitting comfortably, but you get a much longer-lasting fit for many years to come. Dental implants are designed to integrate with natural bone, therefore stimulating the jaw enough to help you maintain the fullest biting force possible. That means tough foods like apples, steak and many other foods that would otherwise be difficult to chew can be enjoyed properly! No more worry of a slipping denture causing embarrassment during a dinner with friends or family. You’ll also find speaking much easier compared to wearing a denture, so there’s no more worry of learning to enunciate and practice speaking like you would for every replacement denture. Top that with better blood flow to improve your face’s natural shape and you have a truly winning solution for tooth replacement. How Do I Get Implant-Retained Dentures? The process for implant-retained dentures begins much like traditional dental implants. You’ll start by having a consultation with Dr. Jeff Roy to discuss your needs and determine if implants are right for you. In some cases, patients may need a bone graft in order to obtain enough bone volume to place implants. Once we determine your needs, we’ll create a treatment plan that determines how many implants you’ll need and the materials we’ll use. We’ll also get you scheduled for oral surgery at a later date. The cost of implant-retained dentures largely varies depending on the needs of the person. For example, if you intend on replacing more than one arch, that can largely affect the total cost. It can also vary based on the materials used for your denture and the number of implants necessary to make it fit securely. With that being said, the overall cost usually averages between $4,000 and $11,000. While the cost can be high, implant-retained dentures are a fantastic long-term investment. 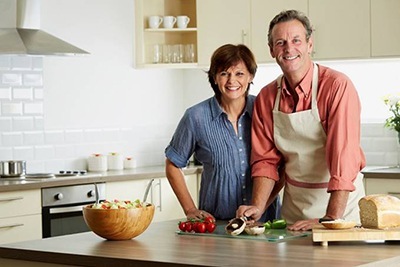 Unlike traditional dentures which need replacing every several years and relining even more often, dentures fitted with dental implants in Las Colinas can last a lifetime while still making a huge impact on your diet, oral health and overall appearance. If you’re ready to get started replacing your teeth one arch at a time, contact us today! We can’t wait to improve your daily life with the most effective replacement option in dentistry to date!